It was the world’s worst nuclear disaster. The explosion and fire that ripped through the Chernobyl nuclear plant in April 1986 turned the area into a no-go zone - where time has stood still. But as the radiation receded, the nuclear plant and neighbouring town of Pripyat became an unlikely tourist attraction. And that’s brought a different kind of pollution, one that requires another clean-up. Today the amount of discarded bottles, tins and plastic bags is increasing along with the number of tourists and vandals who enter the Exclusion Zone. 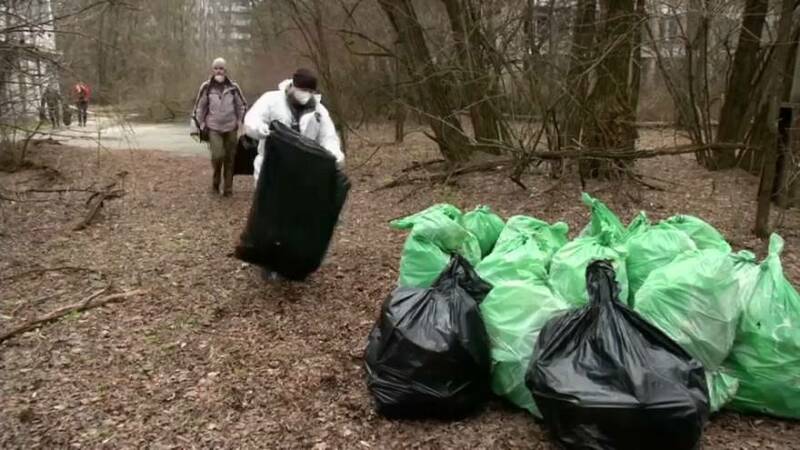 A team of volunteers is working hard on the latest clean-up. But not every bit of rubbish is considered bad. Volunteers believe it's important to distinguish between history and litter. The Chernobyl explosion released about 400 times more radiation than the atomic bomb dropped over Hiroshima. The accident exposed millions in the region to dangerous levels of radiation and forced a wide-scale, permanent evacuation of hundreds of towns and villages in Ukraine and Belarus. About 600,000 people - known as the "Chernobyl liquidators" - were sent in to fight the fire and clean up the contamination. Today a new generation of "liquidators" is taking up the fight.